We couldn’t get enough of this campaign when it originally launched, and it appears as though the rest of the world ate it up as well. McDonald’s Australia + VML managed to take home four Lions over the course of the fest, awarded for their targeted communication and clever UGC creation. The idea was to reach young people who are just entering the workforce in a way that would echo how they already engage with the world today. With youth typically having no prior work experience, and therefore no CV, the 10-second ‘Snaplication’ seems only natural. 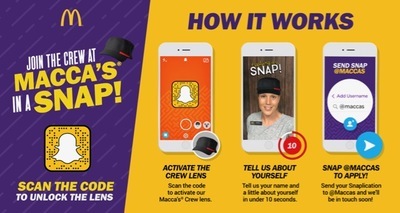 Maccas’ use of a national Snapchat buy, well-placed Snapcode advertising, and custom crew uniform lens were the perfect recipe for global attention and hiring success. Check out the case study here! 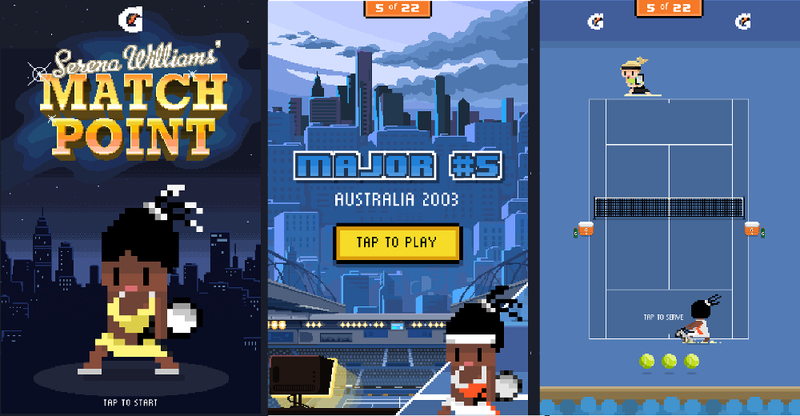 Gatorade + TBWA\Chiat\Day LA also managed to snag four Lions for their 8-bit Serena Williams’ Match Point game. This was the first full game ever put into a Snapchat ad, and we think it’s a real winner. Featuring 22 levels that span across the tennis star’s 22 Grand Slam title-earning career, each level increases in difficulty and captures the original details of each historic match, down to Williams’ uniform and hairstyle. What’s maybe even more impressive than the attention to detail is the fact that the campaign managed to keep users on the ad for an unprecedented average of three minutes. You can watch the case study for this groundbreaking campaign here. Consider the Snapchat advertising game elevated. 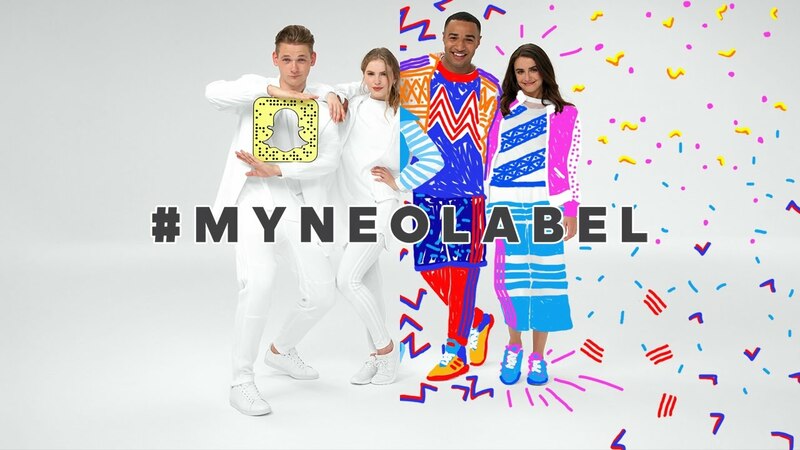 Adidas ran away with two Lions for their very cool #MYNEOLABEL campaign. Users were able to screenshot models wearing blank clothing canvasses that they could then use Snapchat’s doodle tool to create their own designs on. Submissions were snapped back to the adidasneo account, and the top four designers won a trip to the Adidas HQ in Germany to have their designs actually created. 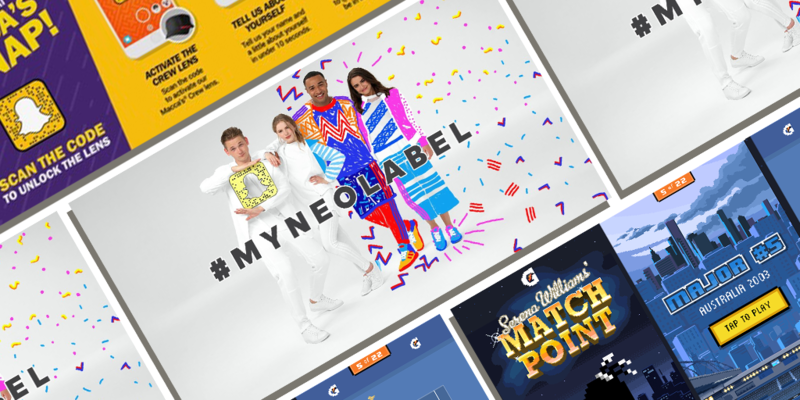 This campaign scored major points with us for its ability to produce great UGC, the utilization of one of Snapchat’s most fun native tools, and tying it all up into a competition with an irresistible prize. Color us impressed!